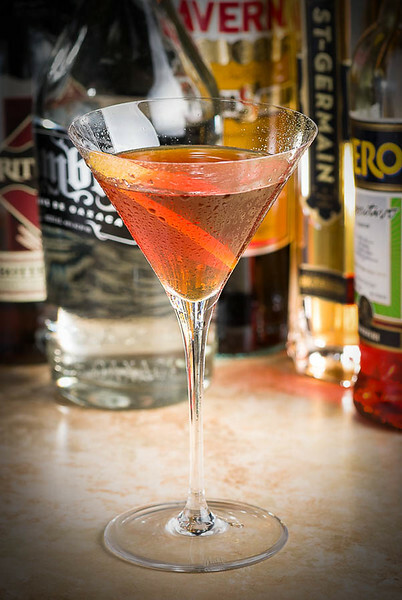 It is an apt description for a combination of high-proof rye whiskey, smoky mezcal, two amaros, and the alluring St. Germaine. Stir with ice until very cold; strain into a chilled coupe. Flame the orange twist over the drink, and add as garnish. You’ll want to use a high-proof rye for the Devil’s Soul, one that can stand up to the smoky, aggressive flavors of the mezcal. Kilgore specified Rittenhouse 100, and it’s a good choice. I’m not an experienced mezcal drinker, but I speculate that many quality mezcals would work well in this drink, with perhaps a bit of adjustment. Sombra’s grassy, agave nose, dry palate, and gentle smoke work well here. The Averna adds earthy complexity to the Devil’s Soul. Its herbal presence includes a strong element of orange peel bitterness and leather. It has a mild caramel sweetness, and a faint coffee note in the finish. The small portions of St. Germaine and Aperol sweeten the drink to help balance the grassiness of the mezcal and the bitter notes of the Averna. Both are fruity and sweet—the St. Germaine is a floral, grapefruity liqueur; the Aperol’s sweetness is offset a bit by a slight orange peel bitterness. Together, they round out the flavor profile with a noticeable citrus fruitiness, and the sugars provide a fuller, creamier mouth feel that helps to soften the aggressiveness of some of the other spirits. When freshly mixed, the drink’s nose is all about the flamed orange peel. The initial sip says “whiskey,” followed by the dry, grassy flow of the mezcal, and then the smoke, into the mid-palate. The herbal and orange-peel qualities of the amaros finally show up, and the sweetness. The finish is long, smoky and sweet, with the mezcal and caramel lingering at the end. 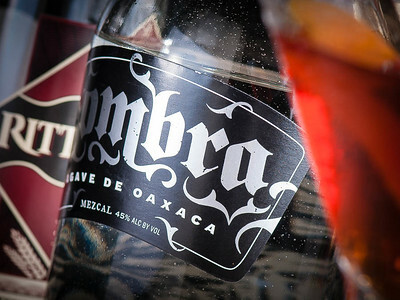 But drink it really cold—the smoke and agave come increasingly, even overbearingly forward if you let the drink warm. “Short and evil: the Devil’s Soul cocktail” at cold-glass.com : All text and photos © 2014 Douglas M. Ford. All rights reserved. Am not a person who drinks occasionally.This cocktail you mentioned gives me a thrirst to drink this.I will surely try this next time. Yes, I like this one, thanks!